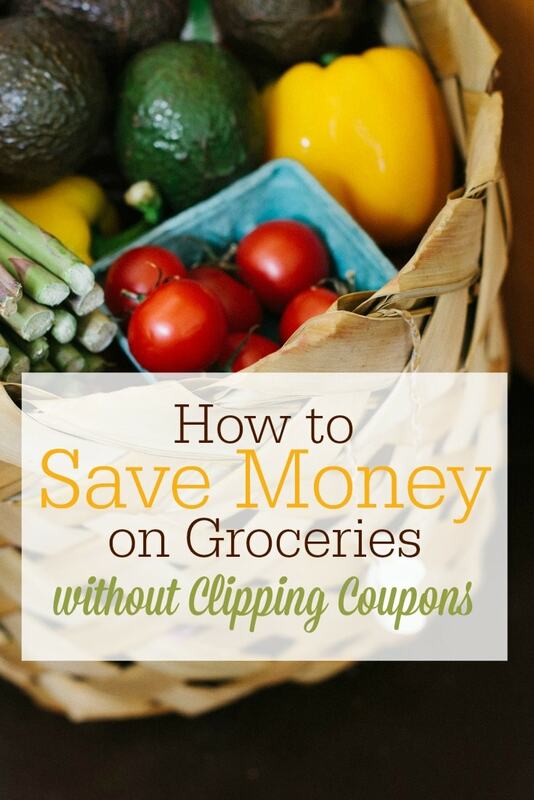 Can you have a frugal grocery budget even if you don’t clip coupons? Yes! This post tells you how to save money on groceries without using coupons! I have to admit: I’m not really a coupon clipper. Oh, I went through it for a season, although I was never an extreme couponer. It just wasn’t me. I don’t know if it was that I wasn’t organized enough or that I couldn’t find coupons for the products I really wanted or needed–or that I found that, with my personality, I would end up getting a “deal” by using coupons for products that would just sit in my pantry because we really didn’t need whatever it was anyway. Any spending money–any money–to save money really isn’t savings at all. But I’ve learned that there are really plenty of ways to save withOUT coupons–especially on real, whole foods! When I am shopping for produce, I almost always check out the clearance produce racks first. Most stores do not want bruised or softening produce on their shelves because it looks unattractive–and could eventually attract fruit flies, etc. However, just because a piece of produce doesn’t look pretty, it doesn’t mean it doesn’t still contain nutritional value! In this post, I wrote about several ways in which to optimize clearance produce. From smoothies to baby purees to chopping up veggies to add to sauces, there are many, many ways you can make your grocery bucks stretch by shopping items on clearance. I’ve also occasionally found organic meats, milk, etc. on clearance. Meats and most dairy products usually freeze well. Now, if you have a coupon, you may be able to make that money stretch even further, but I’ve rarely found coupons for such items as produce and meat. 2. Shop at discount stores, like Aldi or Save-a-Lot. My love affair with Aldi started when my husband and I were newly married (don’t worry–he loves Aldi, too!). 🙂 I was having a hard time reining in our grocery budget, and someone tipped me off to the fact that shopping at Aldi had literally cut their grocery bill in half! I gave it a try and have never gone back to regular grocery shopping again! Now, Aldi does not carry everything–and their natural and organic selection is limited (but growing, as I’ll share in a post later this week! ), but my usual routine is to shop Aldi first and use my debit card to get out cash to use on groceries at the other two stores I frequent. I have recently started buying toilet paper at Aldi (under the brand name Willow Soft). It is not like what you would imagine cheap toilet paper to be at all! If my husband gives his stamp of approval, you know it’s good! Read more about how you can save money and buy healthy food at Aldi in this post, and in this one! 3. Shop for bulk items at club-type stores like BJ’s, Costco and Sam’s. When my husband and I first married, we purchased almost all of our paper supplies from a local Sam’s. We now live near a BJ’s club store, and we absolutely love it! 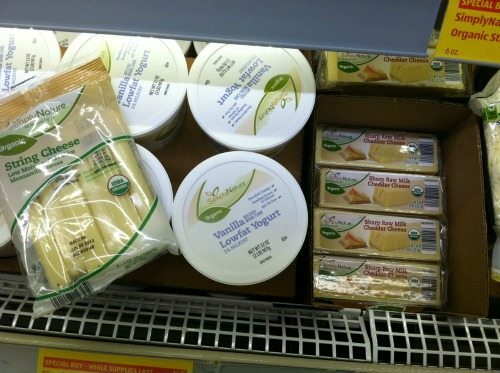 The prices at our BJ’s are usually much better than at other stores–especially on natural and organic products. I typically get organic spinach and salad greens, carrots, celery and apples at BJ’s, as well as Kerrygold cheese, almond milk (it’s about the same price as at Aldi), hormone/antibiotic free meats, uncured bacon and hotdogs, organic quinoa, spices, organic sugar, natural peanut butter, organic canned tomatoes and a few other items. I stick to getting my non-organic items at Aldi because the prices there are still better. The key here is price checking. As Anne Simpson suggests in her book Your Grocery Budget Toolbox, keep a price book. In this book, record the various items you purchase regularly and how much they cost at the stores you frequent. This will help you know which stores to buy each item. Make a list of what you always get at each particular store–and don’t deviate unless something is on clearance or deeply discounted! Note: Our BJ’s DOES allow you to use coupons, AND you can stack their coupons with brand coupons, which can result in some major savings if you’re the couponing type! I should also note that my family gets a membership discount since my husband is a teacher. If you or your husband is a teacher or community service person, don’t shy away from asking if any stores offer discount programs! I still feel fairly new about buying groceries online, but I’ve been saving money for a while by purchasing our family’s vitamins and other supplements online. I have friends who regularly use and rave about purchasing bulk grocery items on Amazon.com. So far, I have only gotten some gluten-free flours there, but I am hoping to maximize on this a little better this year. The other big items I typically buy online are coconut oil and palm shortening. I mainly purchase the Vitacost brand of coconut oil. If you’re new to Vitacost, you can get $5 off your first order of $30 when you click through my referral link. You can also find this brand of coconut oil on Amazon. Don’t let the name fool you! Although they do sell oils for soap making, they have plenty of food grade oils as well. I have not found coconut oil any cheaper anywhere! On my last order, I went in with a friend to split the cost of shipping. We melted the coconut oil and divided it into glass jars. I get my palm shortening from Tropical Traditions (which also sells high-quality coconut oil). I do not use it as much, so I have only had to order it once in the past year. If you sign up for their newsletter, you will get weekly emails about special deals and free shipping! 5. Buy whole foods instead of relying on convenience foods–and cook from scratch. Simply put, buying real, whole foods (i.e. meats and cheese that aren’t processed, fresh or frozen produce instead of canned or packaged with added flavors and seasonings, whole grains instead of pre-made baked good, etc.) and cooking from scratch WILL save you money. I’ve been slowly but surely learning how to cook this way for the past 3 years or so. It has not come easy, but I can say that it’s really not as hard as it seems. Sure, I burn things, but more often than not I can take pride in the food I work hard to serve my family. It doesn’t have to be gourmet. My family eats very basic meals. I typically pan sear or bake meats, use my crock pot, throw together basic soups and make plenty of skillet meals. And I almost always follow a recipe. 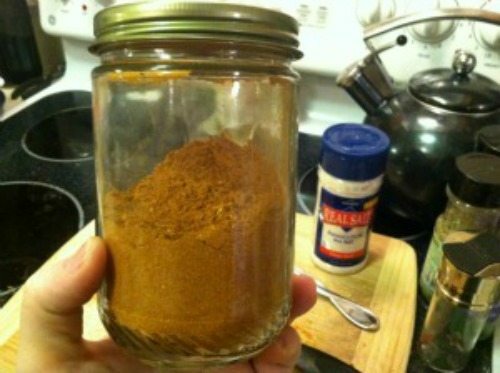 If you want to start with something very, very simple, try making your own spice mixes, like homemade taco seasoning or pumpkin pie spice. If you learn to cook from scratch, you’ll be doing your family’s health-and budget–a favor. And if you need a little help getting started, check out Heavenly Homemakers’ eBook Learn to Cook, or GNOWFGLINS eCooking Courses. 6. Make a meal plan. Making a plan of how you will use the food you buy will help you maximize on what you have–instead of feeling scrambled at the last minute and succumbing to running out the door to Chick-Fil-A or ordering a pizza (been there, done that–and I’ll do it again when I don’t plan well!). And if you don’t have a plan for your food, you may use it up more quickly–which ultimately lends itself to spending more money. 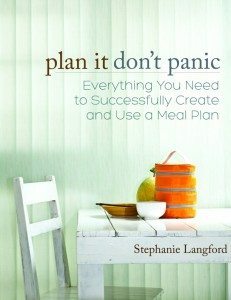 Two resources I highly recommend for meal planning are Stephanie Langford’s eBook Plan It, Don’t Panic (another one I edited) and Plan to Eat, an online meal planning resource. Want even more grocery savings tips? 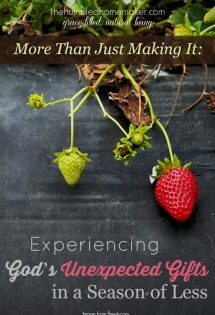 Check out my index of posts here on The Humbled Homemaker about saving money on real food. We had a great conversation going on our Facebook page the other day–where you gave your best tips! Read it here. What are your best tips on saving money on groceries without using coupons? *Disclaimer: This post is not meant to belittle anyone who does successively use coupons. My mother is one of those people! 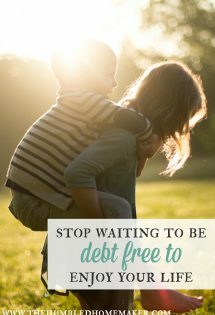 She and my dad are Mr. and Mrs. Frugal, and I credit the way they raised me with helpful me become a lifelong frugalista. However, I’ve learned that couponing is not for everyone–and not everyone can do it well. (Ahem, me.) My family is also limited on our coupon choice because our children have several major food sensitivities. When I do come across a coupon–or, more often, when my mother gifts them to me–I have no qualms in using them. This post is merely to educate others that there are other grocery-savings strategies beyond just using coupons. I faithfully use most of them in my own home. I especially agree with having a meal plan and I love shopping at ALDI too. I usually go there first and then buy whatever I couldn’t get at Aldi in other places. It has saved me so much money. Cooking from scratch is also something I am really passionate about. We almost never use convenience food or processed food. Thanks for a great post. I buy frozen bread dough. Great post, Erin! I just love Plan to Eat. Really. I love it. LOVE IT! I have a small deep freezer in my cellar. I write a list of what is in there and in my kitchen freezer. Then,I make a list of dinners for the week. until I use up the freezer dinners foods. I do them in portion size for my Husband and myself. One thing I alway’s have on hand is College Inn chicken broth! I don’t have to worry about running out to get milk! Excellent guide, Erin! For us, the two strongest tools you mentioned are the price book and meal plan. They are my left and right arms when grocery shopping! We also price match and use co-ops or Azure Standard. 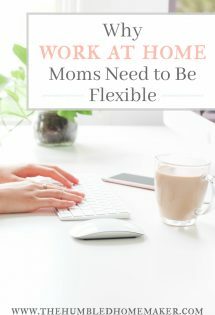 Thanks for helping all the mamas out with this super post! Thank you, Christy! I SO wish we had Azure here! I hear such good things! Maybe one day!! Love your suggestions, I know we do a lot of the same things and was happy to hear about Aldi! I loved this post, Erin! You’ve really gotten me intrigued to stop by Aldi and see what I find, especially now that I know they’re carrying organic products. Thanks for that tip! Thank you, Diana! I hope you have a good Aldi where you live! We love ours! I love all of your tips, Erin! I’m never organized enough to use coupons either. After reading this post, I know I HAVE to try shopping at Aldi. Thank you, Hilary! I hope you have a good local Aldi! I have heard that some of them aren’t so good, but ours is wonderful!!! Great post, Erin! I’ve been getting my coconut oil at Costco for $15.99 per 54-ounce jar. I’m hope, hope, hoping they will keep it stocked there, because I haven’t seen it that cheap ANYwhere! It is by Carrington Farms, organic (extra) virgin oil and is delicious! Great post Erin! We use most of these same strategies because I’m not a good couponer either! I used to try to use coupons and I’d get so overwhelmed and spend so much time trying to match coupons and deals that it really wasn’t an effective use of my time. Also, I wish that we had a Costco or BJ’s in our town, we just have Sam’s Club and I have found that they do not offer much if any organic/natural foods compared to what I’ve heard of other people getting at the other buying clubs (at least the last time I checked there, which was probably around a year ago). It’s super disappointing to me because it seems like a great way to save on organic food! Thank you, Emily! Yes, it is so nice to have BJ’s! I’ve heard Costco is the very best for organic and natural products, but I’ve never been there! Wonderful tips!! I tried couponing myself and it did not work well because we are vegetarian and many products with coupons do not fit our needs. But I know others who do well. You are correct, it is not for everyone. I kept track of how much money I spent on convenience foods and take out for three months and I was horrified. After a year of “training,” I now make almost everything from scratch and we are saving lots of money and are healthier. Your tips are great. Thank you for all you do!! Old post, but can you vouch for the quality of the food grade coconut oil at Soaper’s Choice? How does it taste? I bought organic virgin coconut oil from a similar place and it was OK but not something I’d buy again. Kind of soapy tasting, which was weird. Thanks! Great post and a good reminder that if you follow a few simple rules you can rack up good savings without too much effort. I used to be a BIG couponer but was too involved with all the searching out and clipping of coupons. Then plan the shopping trip that would usually take me to multiple stores. I saved good money then but would spend hours every week doing all this just to have to do it all over again. Thanks for the post! I’ve tried so hard to like the Aldi’s where I ive. I think it’s because I live in a very small town, with one, very old, very unclean-feeling Aldi’s, that has a very limited selection. I tried several times to like it, but I can rarely find anything worth buying. 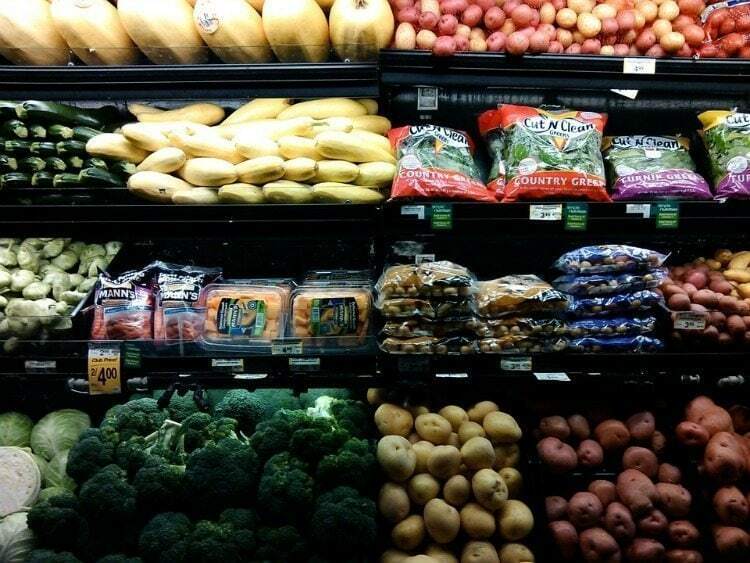 The produce is always moldy, and the fresh meat selection is extremely limited. Plus, there’s no natural/organic selection. I know other Aldi’s are different. A friend who lives in another state (and much larger city) has two newer Aldi’s in her city, and she’s always telling me the deals she gets. Wish we’d get one here like that. You really should write (email) the company so they know how you feel. Aldi has a good corporate structure and can’t fix it if they don’t know. Plus, if you feel this way, I’m sure there are others locally that feel the same way! The stores in and around OKC do not reduce their produce, they throw it away. You can always go talk directly to some one who is in charge of the produce and they maybe willing to make a deal. We live in Yukon and that is what we had to do. They will not do it at Walmart or at Buy for Less. These are great ideas. I am an extreme couponer but I get tired of all the work sometimes and just need a break. I implement all of these ideas! Thanks! I’m sure i could learn a lot from you! As usual, I really didn’t find anything I’m not already doing. lol I feel encouraged though! It seems like every time I set a good budget, something new, like a higher college bill blows it out of the water. We shall look upon these bumps in the road as a challenge! I think you laid this out very simply and in layers that someone new to all this could dig into all or take baby steps. Good article! If there aren’t any Aldi’s in your area, what is the next best place to shop? I’m thinking about switching from CostCo to Walmart right now. Currently I go to CostCo first and then Target Superstore 2nd for groceries. However, there is a Target Superstore and a Walmart that are both much closer to where I live than the first “pair” of stores. What do you think ? Should I switch? I honestly hate Walmart, but it’s just because ours is crowded and seems dirty. lol I have heard they pretty much can’t be beat on prices. I have also heard that Save a Lot is similar to Aldi. Great tips. I need to start using some of your ideas to cut my grocery bill since I too, can’t “extreme coupon”. Hi! I don’t know if anyone will see this in the muddle of all the comments..but I see that you are all back east. I live out in the Pacific NorthWest and we don’t have stores like Aldi or Save A Lot. In my town all I have is Wal Mart, Safeway, Super 1 and Yokes Fresh Market. They don’t sell marked down produce or anything on clearance. Hi Tabitha! I don’t know if you’ll see this since it’s been almost a year, but I live out West too where there is no Aldi’s. What has been lifesaving for my grocery budget is Winco. They have great prices on produce, meats, etc. Ours has a bulk section where I’ve found everything from candies and nuts to quinoa, wheat germ, flax seed, and other health foods. I don’t know much about what they have in way of organic because most of the time I am just looking for what is affordable yet healthy. Since you already do meal plans, you probably already know about planning meals with similar ingredients. This has helped my budget as well. For example, I made quinoa veggie burgers that had quinoa, pecans, mushrooms, and cheese (among other ingredients). I then used some of the quinoa, cheese, and mushrooms in a quinoa lasagna – which also called for zucchini. I then took the leftover zucchini from the lasagna and some leftover pecans from the veggie burgers to make zucchini bread pancakes. If you don’t have a Winco nearby, I’d just find out which of your local stores has the best prices and stick with that. Good luck! Each year in November, I try to buy 12 turkeys at the lowest prices possible, and put them all in my deep freezer…. Once a month, I bake a turkey, and we have leftovers for about two weeks with our favorite turkey recipes. I enjoyed your tips. You’re spot on! 1. Don’t waste! Plan your food so you don’t throw so much money in the wastebasket! “Shop” in your own refrigerator and pantry before you go out to buy more. 2. Buy the loss leaders each week. Stock up when the store takes a loss on the specials to lead you into their store. Adapt your meal plans around those specials. 3. Lastly, focus on the foods with the most food value and and lowest prices: potatoes, beans, bananas–basic, basic, basic! hi Andrea, I am 100% with you on being able to cut costs without always using discount coupons. Of course, coupons are great when you can control your buying impulses, instead of buying everything that you see just because you found some coupons to redeem. For years I was buying our vitamins and supplements from an organic food store until I found an online one, as well as a place with online deals http://vitaqure.com to use there. Great tips. I too am not a big couponer. Love it when I can use them, but do not often find them for store brand products. I too have found that cooking from scratch is not only healthier but also saves much money. Making a list and Menu planning are other great saving tips. There other thing I have found is making a double meal and freezing one for another night. I just made a double batch of enchiladas thinking It would give me 2 meals. It actually gave me 4 meals and a couple leftover lunches. Very cool! You would be surprised at the coupons you can find for fresh produce and meat if you know where to look. If there is a brand you buy, sign up for their email and check their Facebook page and website. There are also rebate sites and apps that offer cash back for certain fresh meat and produce purchases. (Ibotta, Checkout 51, Saving Star) Even if you can’t find coupons for food, it is still well worth it to buy everything else you need to run your household with coupons. I have a lot of extra money to buy groceries with because I pay next to nothing for everything else. Try using IBOTTA App. Sign up for free today using code ogxerdh. You will make money and save money. We’re in New England, and we shop almost exclusively at Market Basket. We do most of these already, but another thing we do is grow a garden. Harvesting our own garden produce cuts our grocery bill way down–plus it is healthier and fresher than anything we can buy. 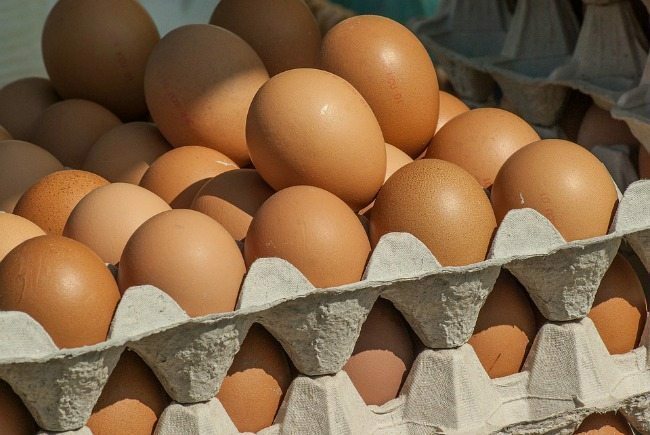 We also have a neighbor with chickens and we swap old food-storage wheat (which chickens can still eat) for fresh eggs. There are a variety of tools and resources available to help consumers save. DontPayFull.com works all host their own blogs. This network of money-saving experts works to pull the best coupon data and deals in cities across the country. DontPayFull.com also host free coupon classes to teach people how to avoid overspending on groceries and other essentials. Meal planning has really helped! Also I order a lot of my groceries online and just pick them up (so I don’t buy things that aren’t on my list).